About this time during summer I’ve run out of fun outside activities. 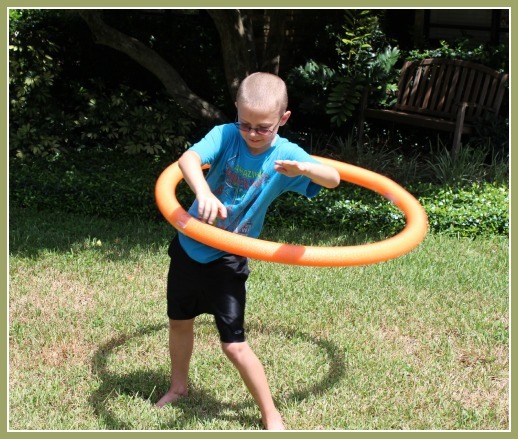 The hose on the trampoline looks like a dead snake, chains have fallen off bicycles, sun shirts are faded, and the slip & slide has curled up somewhere in a corner begging for a break. It’s not even August and here stand two boys full of crazy summer energy looking at me for new game ideas and more ice pops. 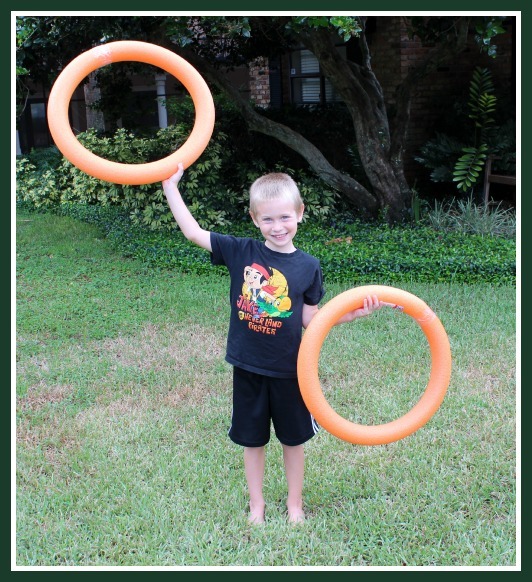 If your fingers are blistered from water balloon torture, try these pool noodle activities. You don’t even need to be near a pool to enjoy this fun! Tip: Get some packing tape or duct tape to put your noodles together. The only one we didn’t find … Giant Pool Noodle Hula! Tape two noodles together.